Preliminary round results from Wednesday last: Dr. Crokes 5 - 24 Abbeydorney 1 – 5; Kilmoyley 1 - 15 Crotta O’Neill’s 1 – 12. The quarter finals go ahead on this Wednesday, 18 July, 7.30p.m. - Kilmoyley v Lixnaw; Lady’s Walk v Kilgarvan; Dr. Crokes v Kenmare – (first named at home in all games). The St. Brendan’s v Causeway game has been changed and will be played at Causeway on Friday, 20 July, 7.30p.m. The semi-final of the Credit Union Co. Senior Hurling League Division 1 played last Friday ended level – Kilmoyley 0 - 23 Ballyduff 2 - 17. Causeway await the winners in the Final. In the Division 2B league, St. Brendan’s had a 3 - 24 to 2 – 14 win over Lixnaw. Division 1A Round 2 re-fixture: Sunday, 22 July, 3.00p.m. - Ballyheigue/Causeway v Kenmare/Kilgarvan. Round 4 in Division 1B is scheduled for Monday next, 23 July, 7.30p.m. –Division 1B: St. Brendan's v Ballyduff; Kilmoyley v Lixnaw; Tralee Parnell's bye. The Cup semi-finals are fixed for Friday, 27 July - Ballyduff v Kenmare/Kilgarvan and Ballyheigue v Abbeydorney. The Ballyheigue and Ballyduff Under 14 A Championship Final is fixed for Sunday, 5 August.. Check the North Kerry Hurling Board Facebook page for fixture details. 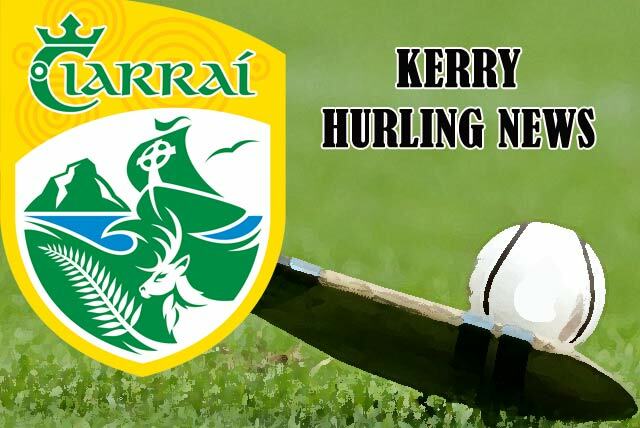 The North Kerry Under 13 'A' and ‘B’ Championships will commence on Tuesday next, 24 July.